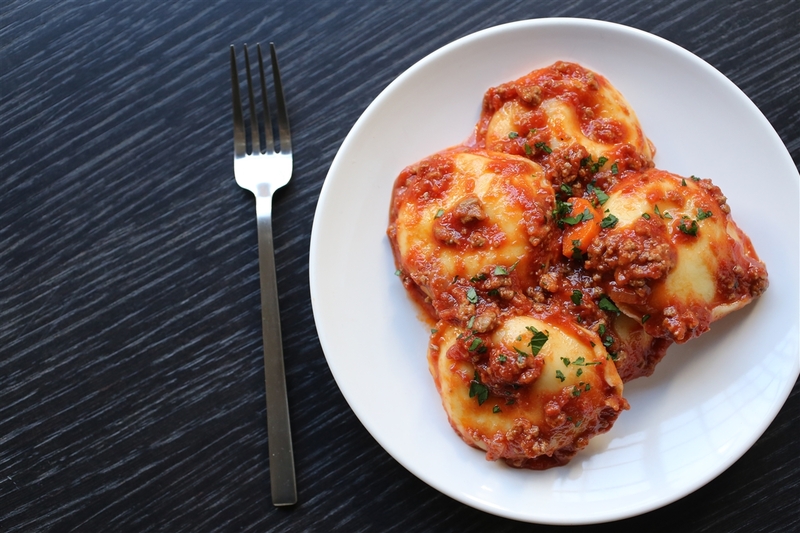 Our signature ravioli are bursting with flavor and filled with creamy ricotta and genuine Pecorino Romano Cheese. I was very impressed by how fast they shipped my order. It was packed very well and included frozen ice packs so it stated fresh. Living in Dallas (completely void of good Italian cuisine), it's comforting to know I can get these ravioli from a small specialty store in town. Gotta get 'em quick, as they sell out shortly after the truck is unloaded, and I know for a fact that some local restaurants serve them as appetizers. So, with a little homemade marinara made with San Marzano tomatoes, and these amazing ravioli, I can be back home again. I brought them to my family for the holiday 2015 and they were absolutely the best . I had many years ago and they have not changed.-Still the best- Fantastic. Thank You for keeping the quality the same and at a great price..